DG Diagnostics (DGD) is the software included with the DPA 5 that displays faults, component information and basic vehicle parameters from the J1708/J1587 and CAN/J1939 data buses. DGD may reduce the need to purchase full-featured OEM software to use with DG’s adapters. Read and display J1587 and J1939 faults in “text” form. Request clear of inactive J1587 and J1939 faults. Display “total-vehicle” and “trip data” such as odometer, engine hours, and fuel economy from the J1587 and J1939 data buses. Create a viewable/printable/saveable vehicle report in HTML format showing all information that has been captured. Display common “dashboard” parameters such as RPM, temperatures and pressures from the J1587 and J1939 data buses. Request reset of J1939 trip information (trip odometer, trip miles, trip fuel, etc). Display J1587 and J1939 ECM component information such as VIN, Make, Model, Serial, and Unit Numbers. Record data bus data for engineering analysis as well as play that data back internally through the program or externally to the data bus. Configure and launch OEM applications directly without having to navigate through the Windows Start Menu. ACT/JVT Validation Tool software tools are included with DGD and allow technicians to clearly see that the vehicle network is communicating with the adapter and the adapter is connected properly to the computer. DG is the only manufacturer in the industry with this software, saving technicians troubleshooting time and providing a graphical display of the vehicle network connection. DG Analyzer is data acquisition and analysis software for CAN, J1939, NMEA2000, CANopen, LIN & OBD. The software supports industry standard log files and databases and has on-board diagnostic scan tool features for emissions ECUs with text/scope/graphical signal displays that can be used to interpret and simulate network data. DG Analyzer is the only CAN/LIN bus analysis tool compatible with touch screen devices based on Windows 8.1 and 10 making it good for use in-vehicle, harsh environment, desktop or laboratory work. 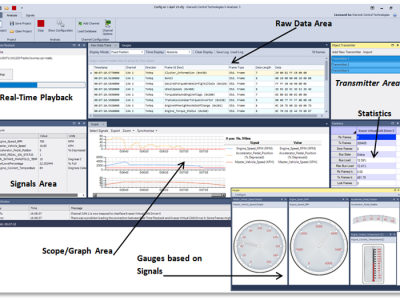 Hercules features database driven, user customization software interfaces for monitoring and simulation of network data (frames, signals, and errors) on multiple networks simultaneously. 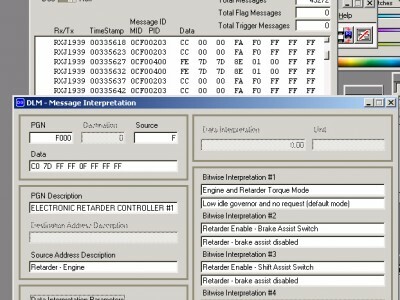 Integrated within Hercules is a full-featured diagnostic handler for setup, control, and interpretation of in-vehicle diagnostics frames in accordance with ISO 15765, J1939, and GMW3110 GMLAN. View a LIN emulation using Hercules Tutorial video here. 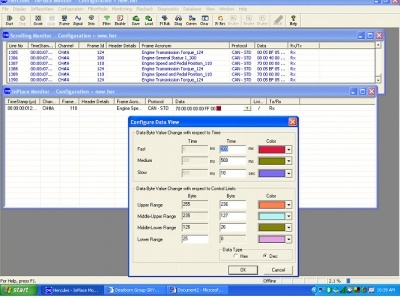 DG Technologies has partnered with RA Consulting to offer their Silver Scan-Tool software provides the test function for CARB diagnostics and supports all nine of the CARB modes defined by the authorities along with their sub-functions. This all-in-one package provides for OBDII/EOBD diagnostics on the Desktop, Notebook, and many other devices allowing you to access all of the legislated diagnostic functions while supporting most OBDII communications protocols. Backward compatibility with J1850 for older Ford, GM & Chrysler vehicles is available. ScanXL is a professional line of diagnostic scan tools that delivers the full range of generic diagnostics for any OBDII compliant vehicle sold worldwide, along with providing manufacturer-enhanced diagnostics for many vehicle types. It gives access not only to powertrain systems, but also ABS, airbag, and other proprietary systems that would otherwise require expensive dealer tools to work with. ScanXL comes in two different versions, ScanXL Professional and ScanXL Standard. Both versions of ScanXL allow viewing, charting, logging and playback of diagnostic data in real time via the vehicle’s OBD-II diagnostic data port. ScanXL also allows viewing of vehicle Diagnostic Trouble Codes (DTC’s), Freeze Frame data, and other vehicle information. ScanXL supports 1996 and newer vehicles whether it be US, Asian, or European. For a complete list of supported vehicle types, visit the ScanXL Supported Vehicles page. These listings show all supported vehicle parameters per manufacturer. Some of the parameters may require the purchase of the manufacturer enhanced diagnostics “add-on”. 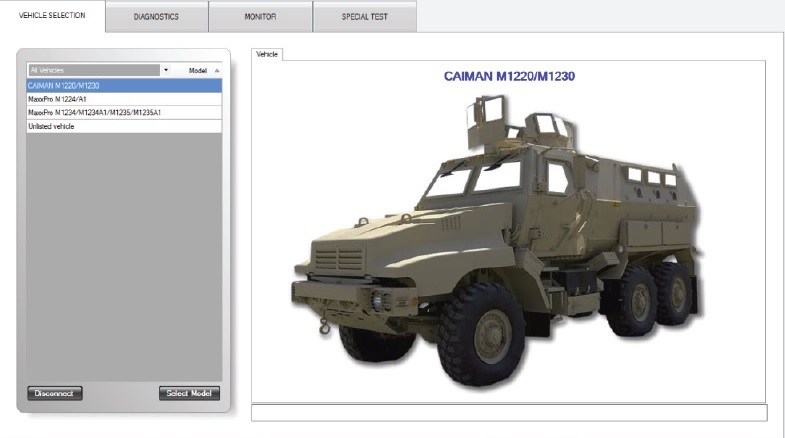 MDS is a military diagnostic software application designed specifically to support preventative maintenance and diagnostic activities on Mine Resistant Ambush Protection (MRAP) vehicles providing access to the vehicle network to manage diagnostic activities and preventative maintenance measures required during routine check ups. The Gryphon Data Logger Program and the Gryphon Logger Configuration (GLC) graphical user interface application are used to create data *.log (text) files of the messages on the network that the Gryphon is connected to. 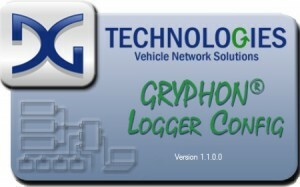 Gryphon Data Log files are created by the Gryphon’s onboard Logger program when it is set ON with a GLC file set as Default. The Gryphon Logger Configuration file defines the requirements of creating the data log capture. The Gryphon Logger Configuration application allows you to save a template as a usable file, transfer the file to the Gryphon, and after the log capture is complete, you can transfer *.log files from the Gryphon to a computer. DG DLM 2, a free J2534 CAN-based data monitoring and analysis tool for CAN traffic. The Data Recorder, allows user to record data at the same time while application is running or in absence of application, and regardless of application filters. Gryphons offer start, stop, pause and resume recording controls along with options to overwrite or append data, configuration for maximum file size, browse recorded data, and easily convert recorded data to Vector format. 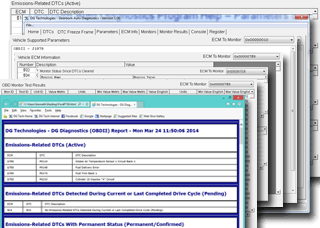 While the software programs described above are capable of various diagnostic and reprogramming features, sometimes a technician needs to acquire certain OEM specific information that can only be obtained via using DG’s pass-thru adapters with OEM Software. Automotive OEMs offer cloud-based subscription access to their reprogramming sites. Some other common heavy-duty OEM software such as John Deere, IVECO, Hino, Izuzu, Kabota, CNH, are not supported by the Dearborn Protocol Adapter BUT the DPA can be used on those manufacturers’ vehicles using the DG Diagnostics software.